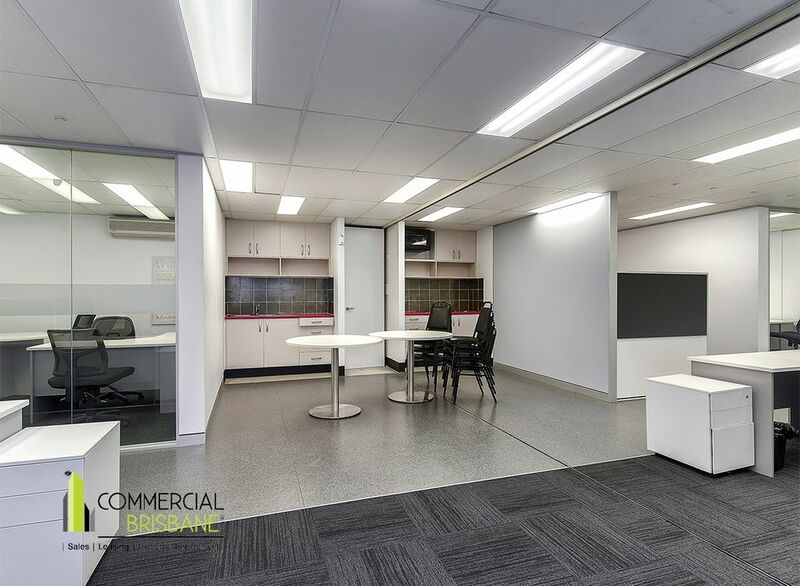 This first level is accessed via a central stairway and has a rear stairwell as well. 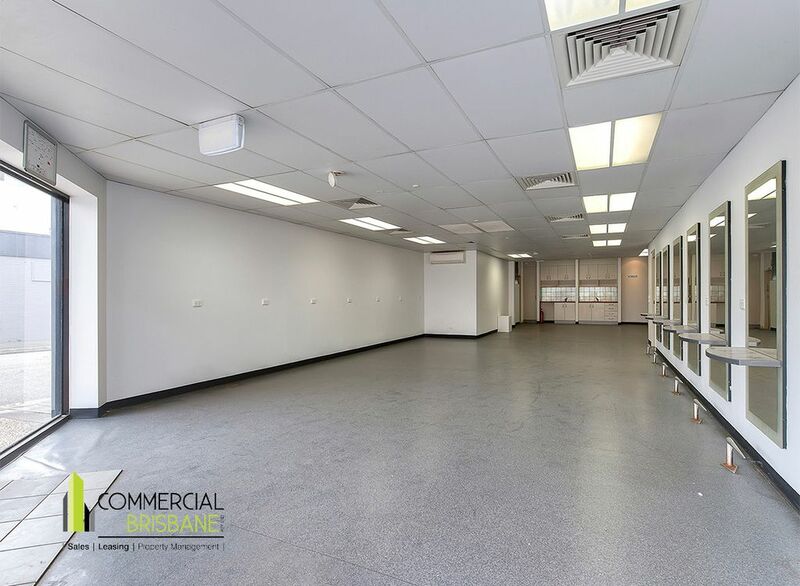 Each space is air -conditioned and is afforded good natural light and separate amenities. 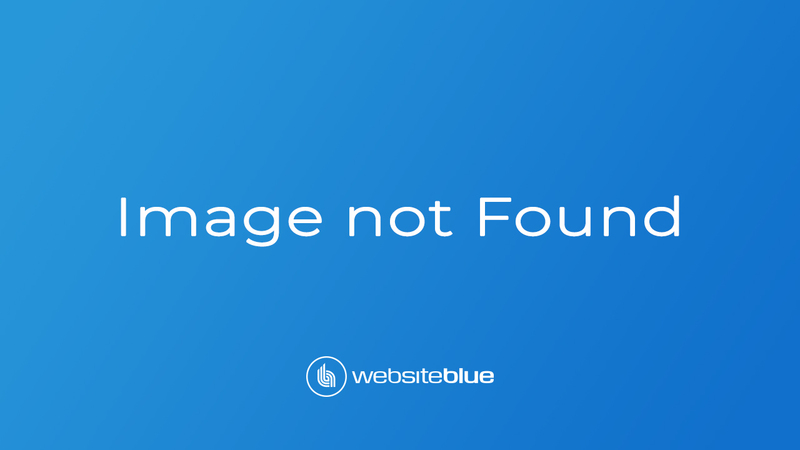 Each area is separately metered. 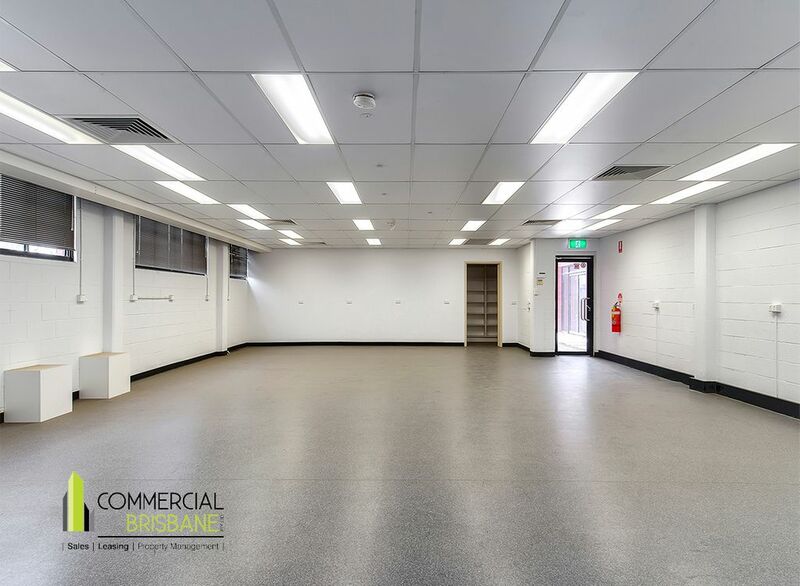 A folding concertina door allows the upstairs area of 170 m2 to be further split as required. 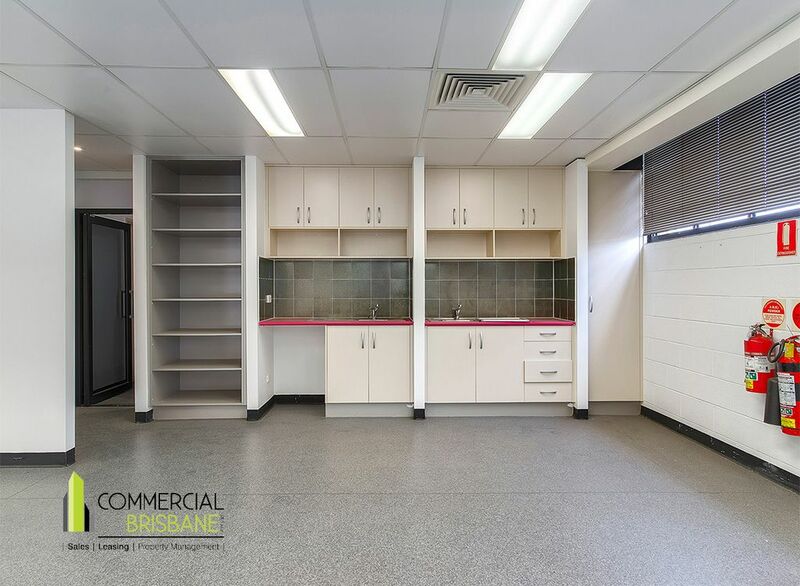 The property is well catered for with storage by several areas set aside for shelving and record management. 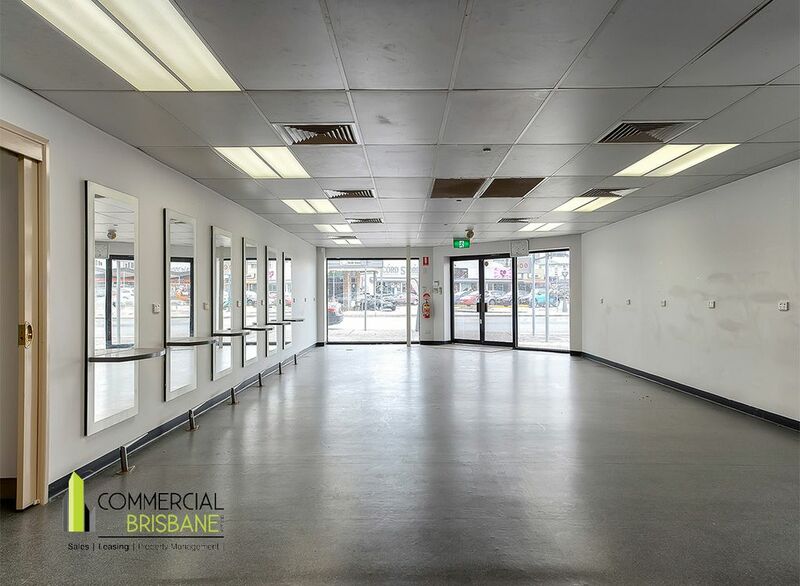 Downstairs areas offer retail exposure to busy Old Cleveland Road. 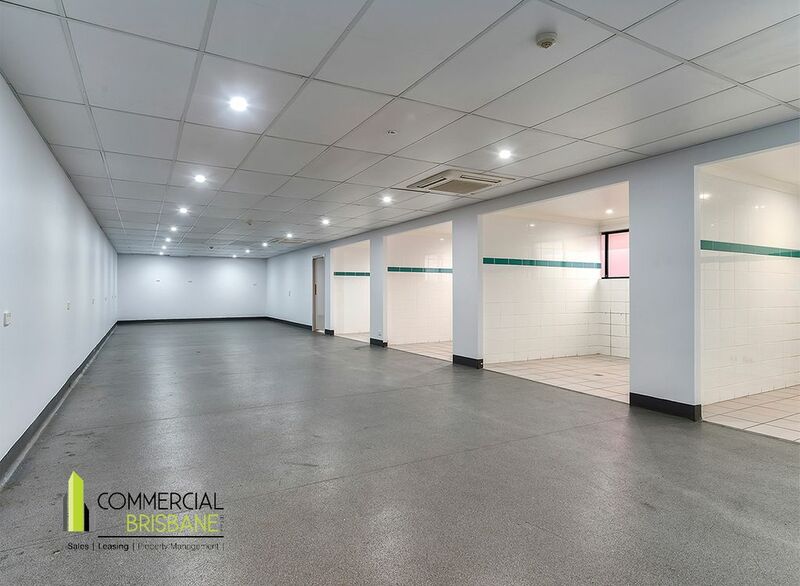 There is existing plumbing available from previous spa rooms and hairdressing training areas, plus a large open area with industrial vinyl wrap flooring and 4 wet-area bays with tiled floors and walls plus plumbing and floor wastes. 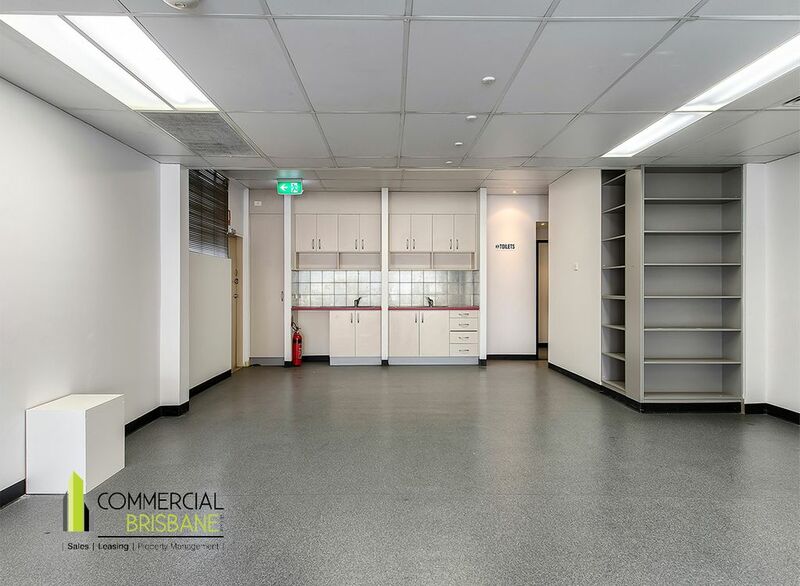 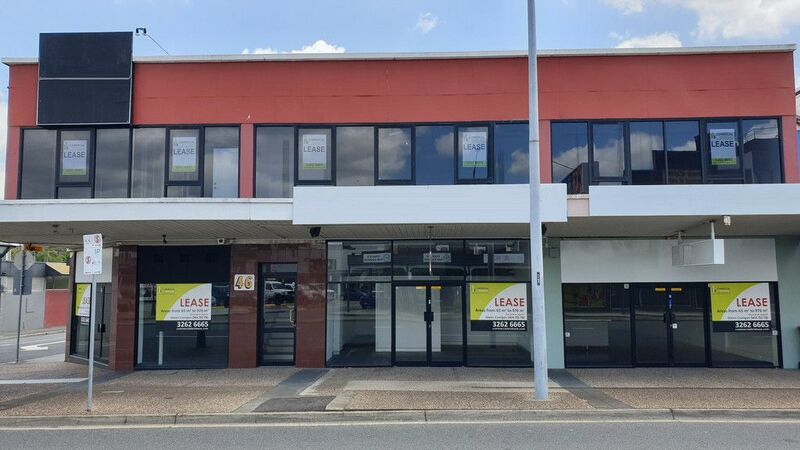 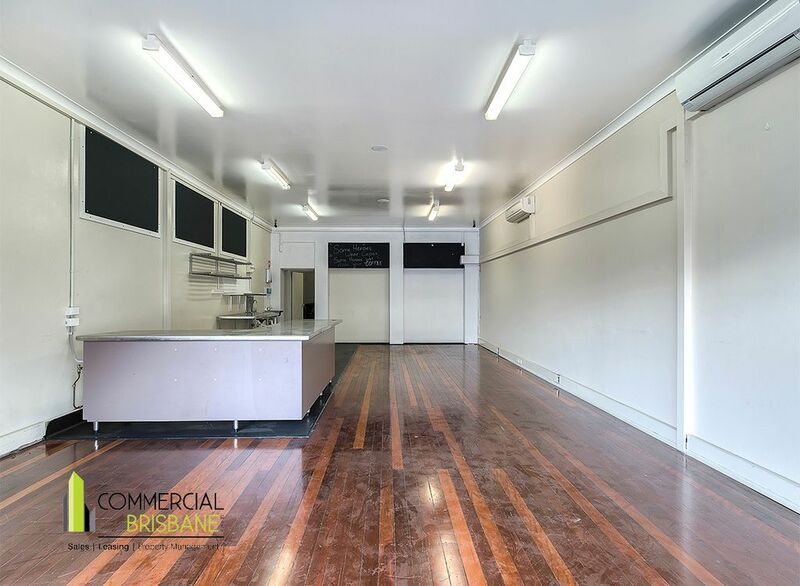 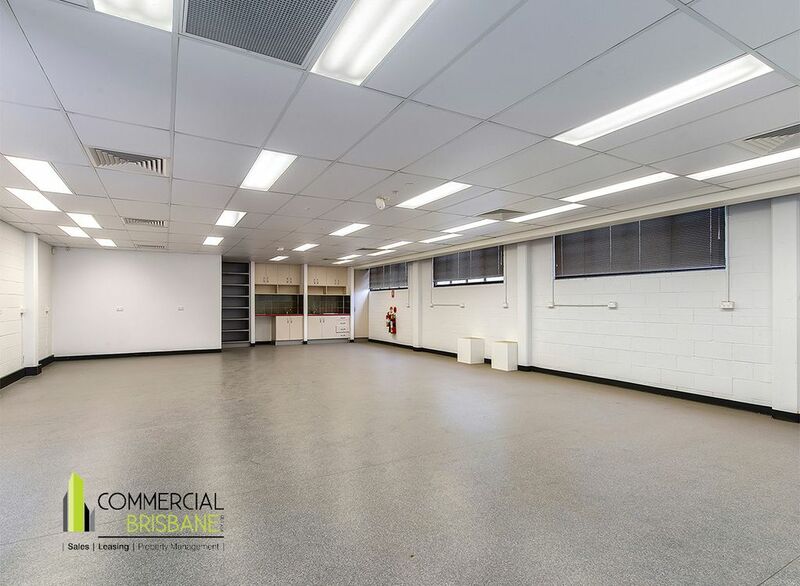 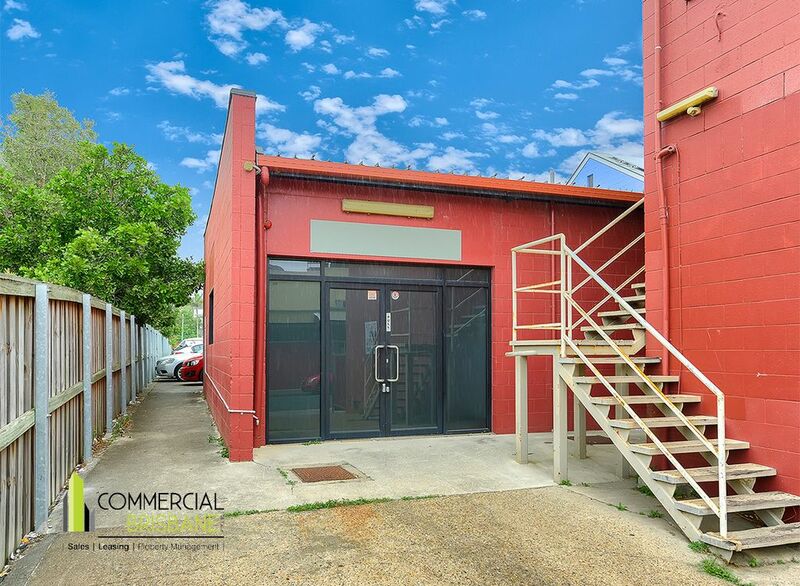 The building has multiple areas available for signage to considerable passing vehicle and foot traffic and plenty of on-street parking plus very close to train and bus transport. 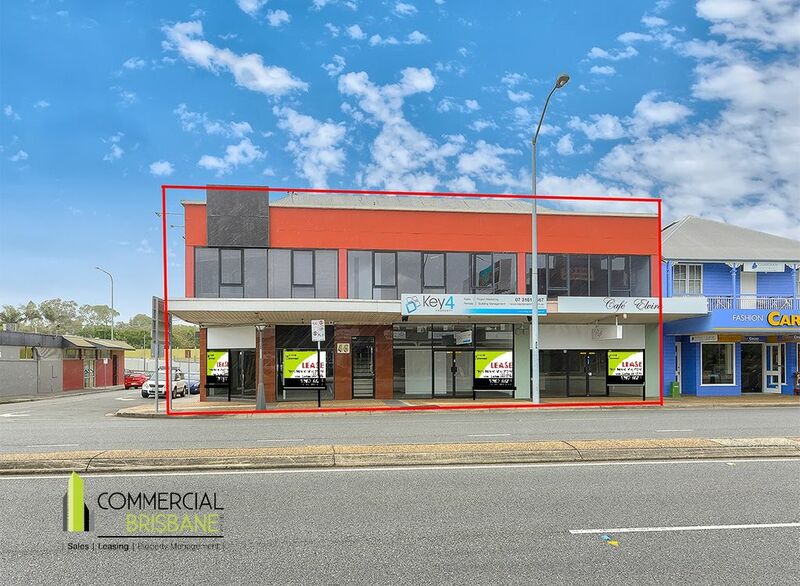 Greenslopes or Stones Corner as it is otherwise known, is located in the heart of inner Brisbane’s Southside, 4 km from the CBD. 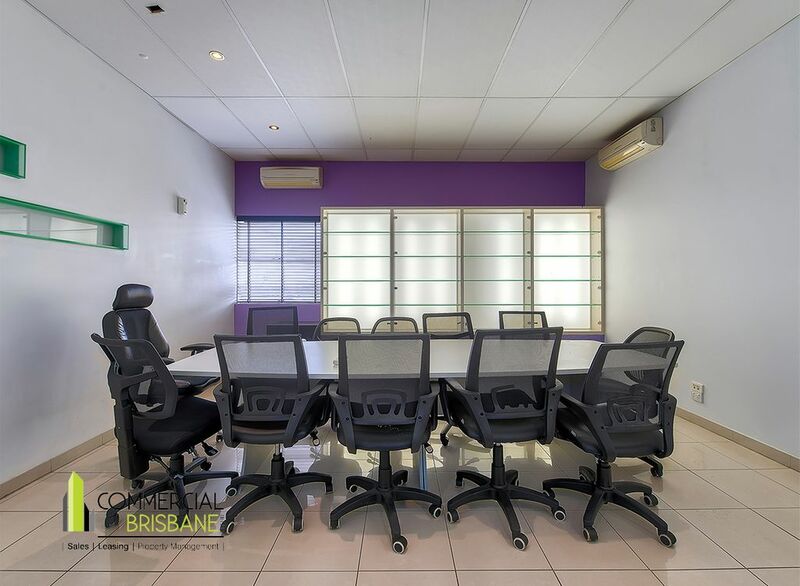 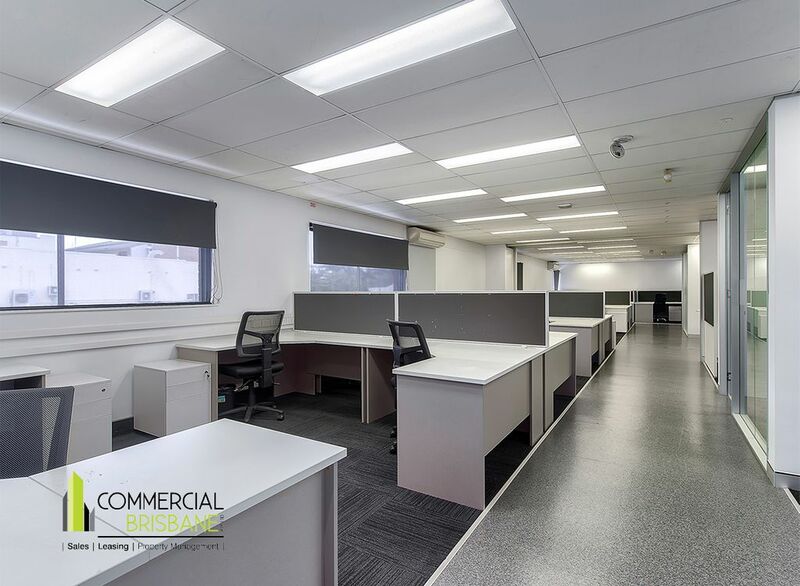 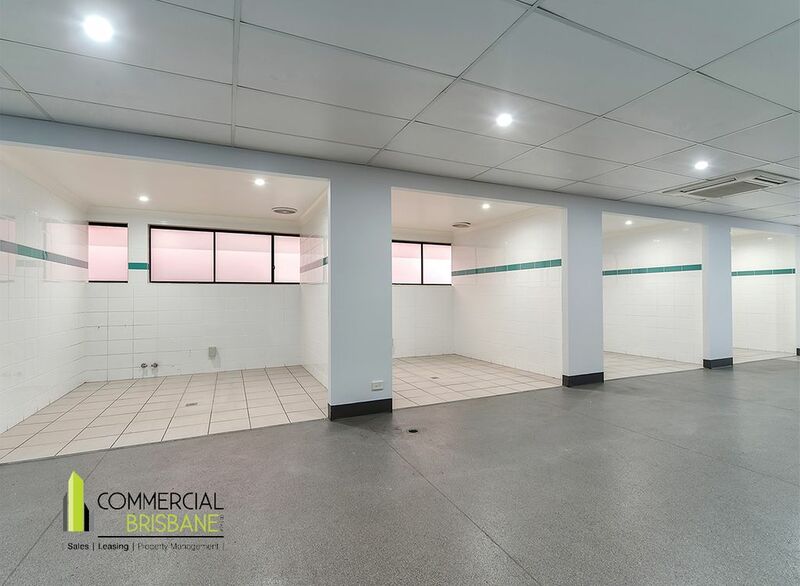 It features a trendy hub of boutique shops, cafés and restaurants and is central to all modes of transport and serviced by the Buranda Train Station and the Eastern Busway Interchange. 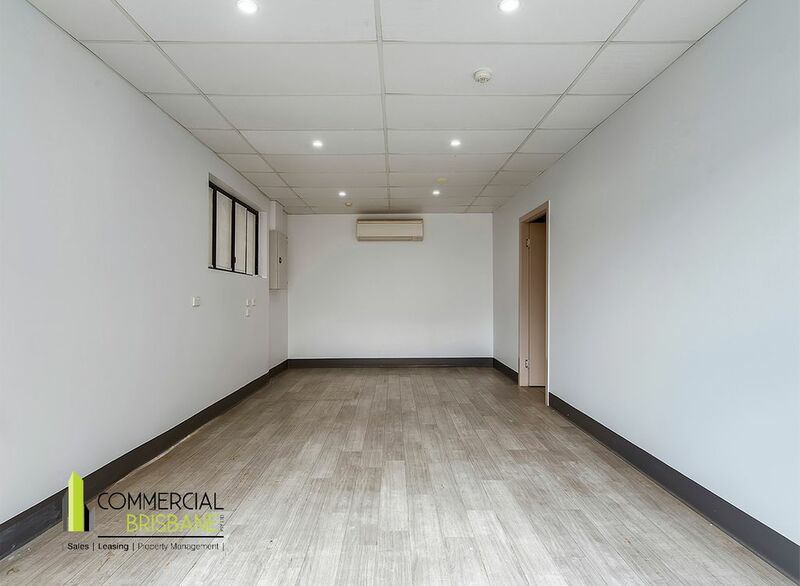 The area is undergoing a considerable amount of residential apartment development and enjoys easy access to all arterials including South East Freeway, Clem 7, Airport Link and Gateway Motorway.